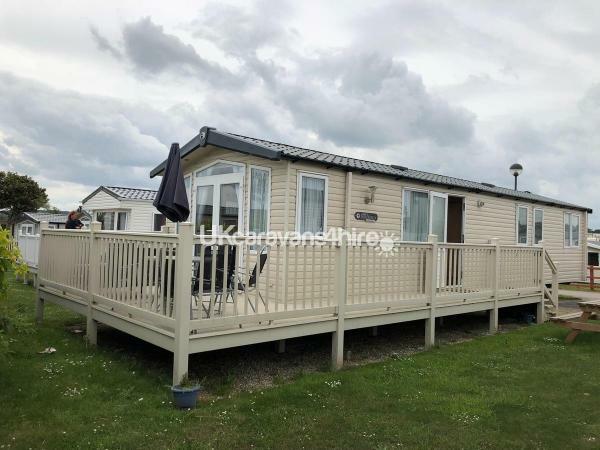 Our 3 bedroom Swift Bordeaux is a stunning caravan on primrose valley with all the added extras you would expect from a luxury holiday home. The spacious living room has a 3 and 2 seater sofa and a clever coffee table that has extra seating cubes stored within, providing ample seating for the whole family. 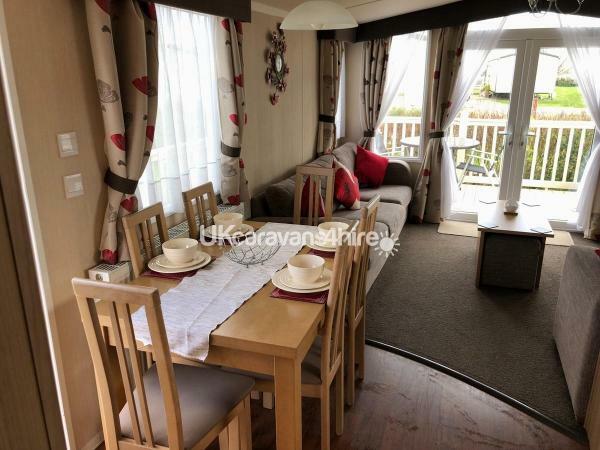 There is a dining table In the kitchen and a TV/DVD player, Nintendo Wii with a few games, DAB radio,and a ready supply of books and board games to play that provide plenty of entertainment within the caravan. 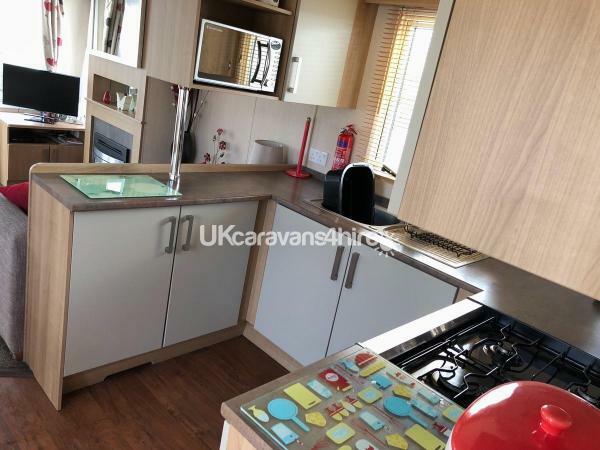 The spacious and modern kitchen comes complete with a gas hob and oven, kettle, toaster, large fridge/freezer, microwave, and all manner of kitchen utensils and crockery - all perfect for preparing family meals. To the side of the caravan is an allocated car park space with parking with additional parking behind the caravan. This is the second time we have stayed in this caravan and wasn't disappointed. 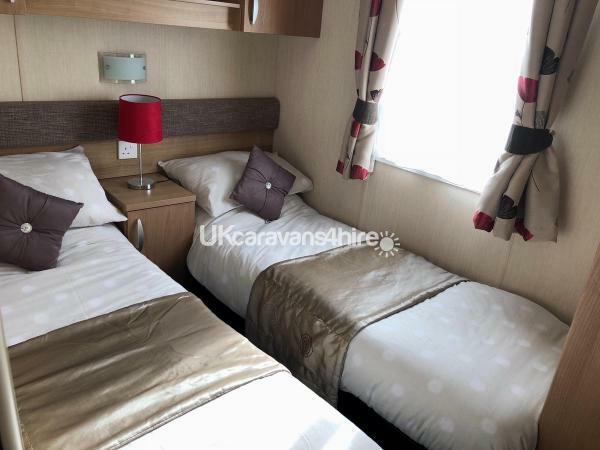 The caravan is great location, clean and the personal touch with the wine, chocolate, biscuits etc when we arrival was a great start to our holiday. We will definitely be back. 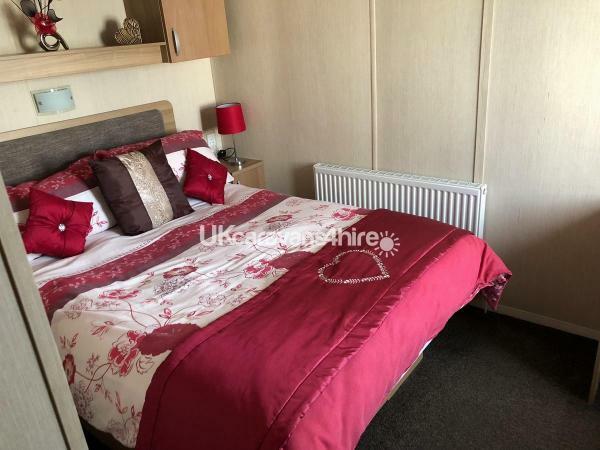 A beautiful caravan in a great location, close to main site yet lovely and quiet. The little touches like kids games came in very handy. Can not fault a thing. Thank you.